Unlike any other decade, the 60s brought important changes in the way we fill our world with design. Satisfying the same needs towards constant change and improvement, the design of the period searched for new sources of inspiration. Often, they were found outside accepted norms and far away from the influence of previous decades. The use of bright saturated colors like orange, yellow, dark greens became the chromatic signature of the time. Flower patterns emerged as the norm and Oriental influence was felt throughout the Western world. The psychedelic designs came at a time when the hippy movement and “flower power” was at its height in all stages of society. Design became a form of rebellion against the rigid boundaries of previously established norms and definitely helped shape the world we know today. Empty space was considered for the first time one of the most valuable components of design and minimalism made its first shy steps into the world of interior design. The rise of technology and its artistic counterpart in science-fiction definitely triggered important changes in the way home decoration was done. Fascination towards new materials and especially plastic quickly expelled the use of traditional solid wood for furniture. Glass, aluminum, and other composite materials caught shapes never imagined before and functionality overcome aesthetics for the first time. Important names like Verner Panton, Joe Colombo, Giancarlo Piretti, and Peter Murdoch have helped define the message introduced by the 60’s design. 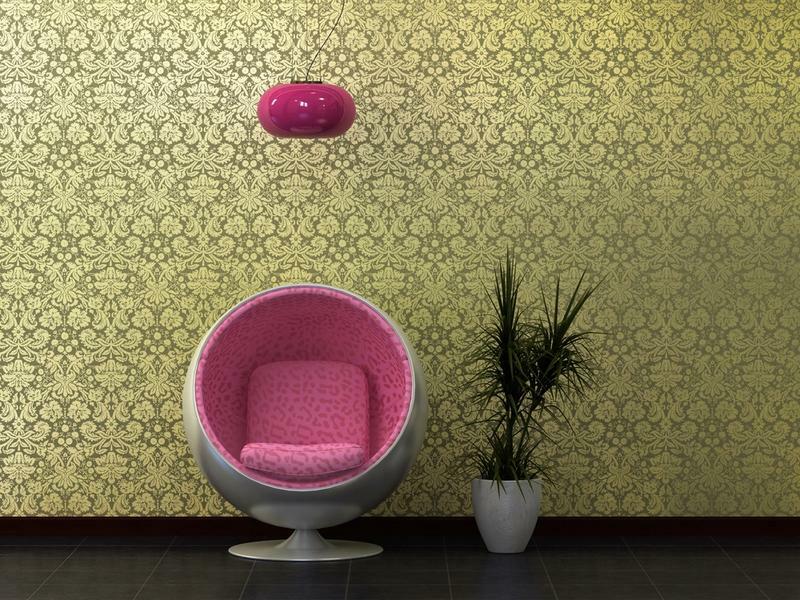 Looking back at the sixties, many interior decor elements have become symbols of kitsch, although some still highlight their role in promoting nostalgia. To resume the values brought on by the decade, the living space became less formal and more focus on satisfying needs of comfort and accessibility. The TV always received a focal point in the interior design recipe of the 60’s. Symbols of pop culture entered design and became ways of expressing alignment.